March 2, 2018 – tulen loobin su katusele kive! 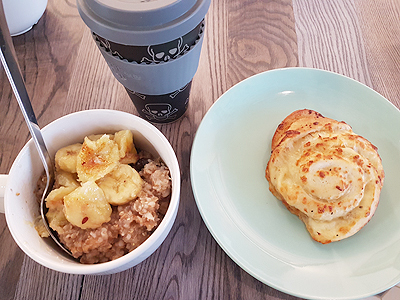 Porridge with caramelised bananas, a cheese roll and some coffee. 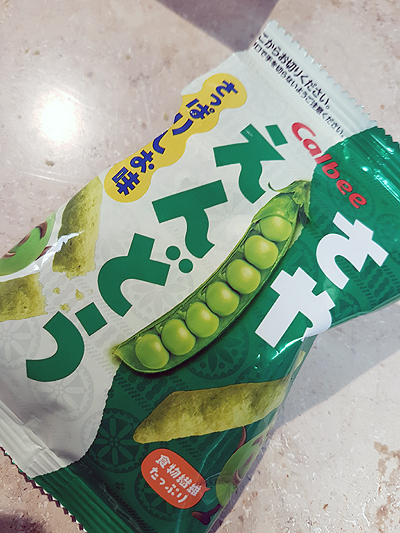 Calbee pea crisps. These were super yummy. 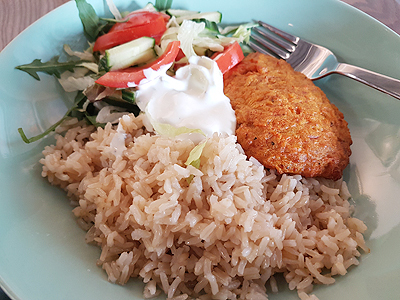 A carrot cutlet, brown rice and some salad. 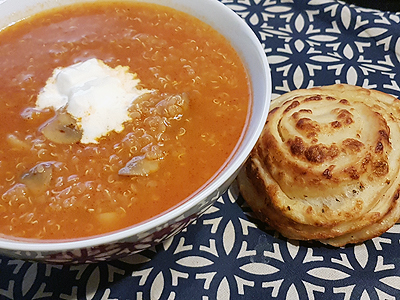 Hot and sour quinoa and mushroom soup and a cheese pastry. 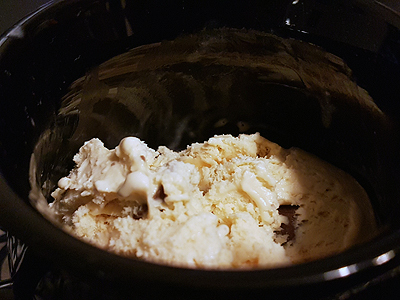 Some overly sweet caramel ice cream.